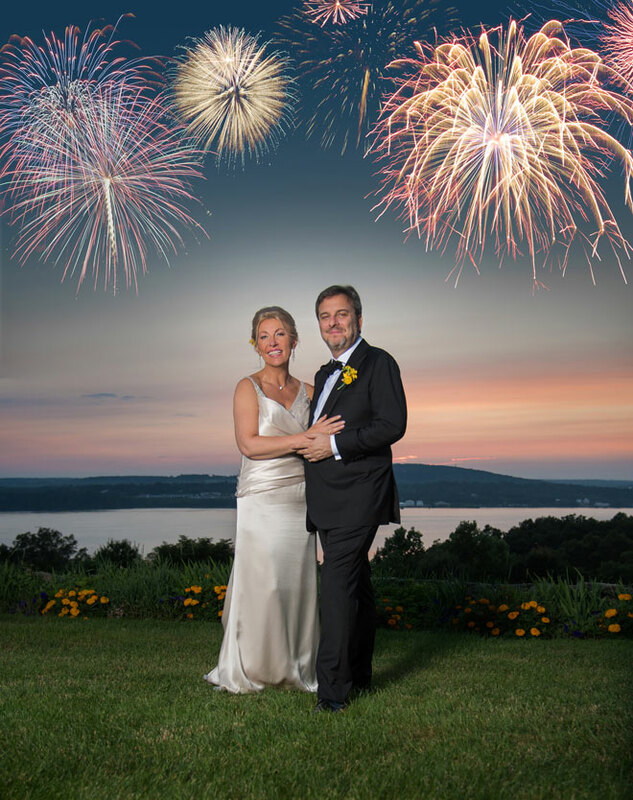 We were thrilled to be chosen as the photographers for Ivona and Tony at their lovely July 4th wedding at Dutchess Manor in Beacon, NY. Rain has accompanied all Ivona and Tony’s romantic milestones, from first date to proposal to our pre-wedding shoot. No surprise their July 4th wedding day at Beacon’s Dutchess Manor dawned drizzly. We lugged umbrellas along with our cameras, but, miracle of miracles, 20 minutes before the ceremony, not a drop was falling! We all had time to revel in the groomsmens’ yellow socks and Ivona’s matching painted toenails, and the Polish ska music of the bride’s heritage. No one danced more joyfully than her mom, here from Poland. The lawn gleamed, the Hudson glistened, the rainclouds vanished. Our forecast: clear and bright.